Egypt was the other country my mum used to visit when I was younger, along with Greece. Even so, it’s only been fairly recently that I’ve got into reading things to do with Egypt. It was interesting to see the two different storylines running parallel to each other. I found both of the sets of brothers to be really intriguing characters. 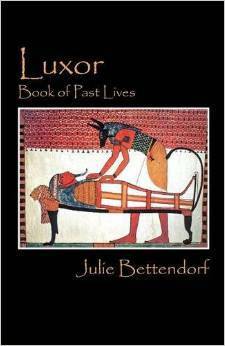 It was really good to see how the belief system worked in the time of Ancient Egypt… and how the embalming process worked. It was a little disappointing that the lines were so clearly drawn in who was ‘good’ and who was ‘bad’. I didn’t really see much of a brotherly relationship between Abdul and Karim. It was good to see them figuring out where to find the mummified bodies… and how they viewed the customs of the ancient times. I didn’t really like Iramen as a character. I liked Nebamun a lot better and it was good to see his friendship with Padi. I felt a lot of sympathy for him when he had to figure out the right thing to do when he found out what his brother was doing. One thing that struck me was how commonplace the sacrifices were considered. I did think that Padi was used as a kind of learning/exposition tool, especially when it came to the hieroglyphics. Although it made sense that Padi might not be able to read and write, I kind of felt like at least one of the exchanges was more of a lesson for the reader. It was an interesting way of providing the information… but still something I would think would be common knowledge. I liked reading about the respect that Nebamun and Padi clearly demonstrated for those who were dead. Even with someone not from Egypt, I felt they clearly cared for the bodies of those placed in their charge. Even if I did feel that Padi toed the line of disrespect just a little. There was more violence in the later times of the book than I was expecting, but although I found it difficult to like Karim, I did like Abdul as a character. A lot of research had clearly gone into this book and I found it really easy to read. There are some scenes I feel will stay with me a while yet.